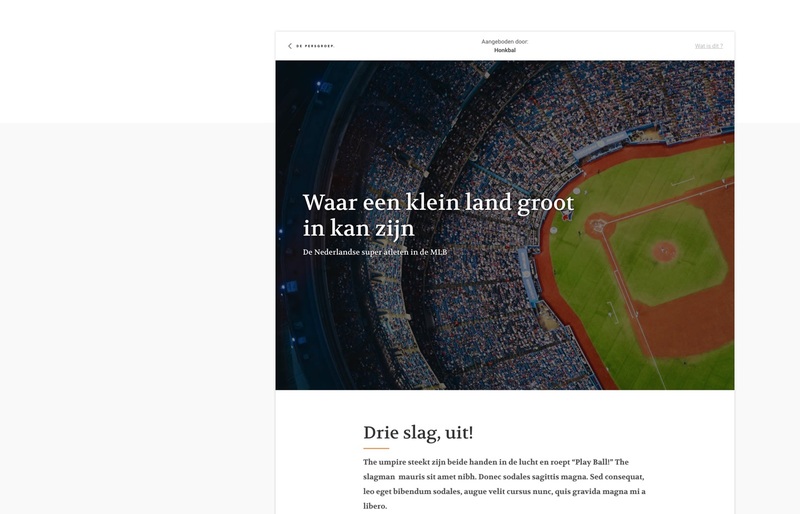 A robust back end and an appealing front end for the branded content of the Netherlands’ biggest media company. Millions of Dutch read De Persgroep’s online and offline media every day. Their branded content has great exposure, yet it can’t be scaled due to limited resources. 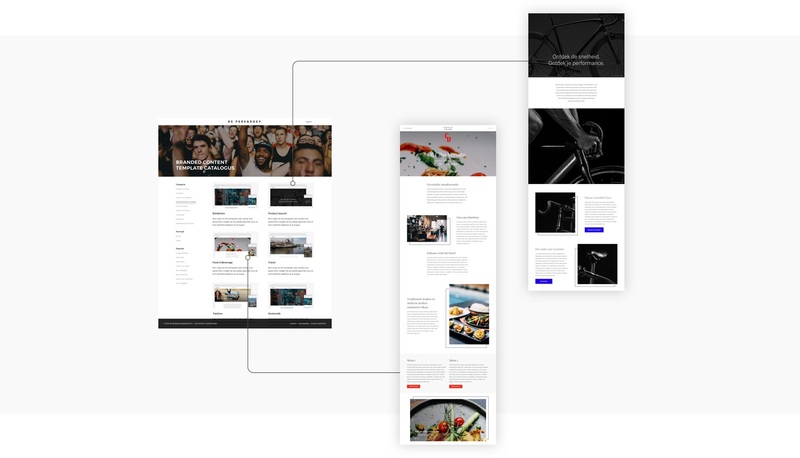 We devised a strategy that helps turn branded content into an easy-to-use and cost-effective self-service publishing platform. The platform’s intuitive interface enables advertisers to set up content quickly. Its advanced data analytics inform them of the best content format for maximum impact. With this modular platform, the cost of producing content is now reduced by up to 90%. De Persgroep’s business model for branded content has changed fundamentally. 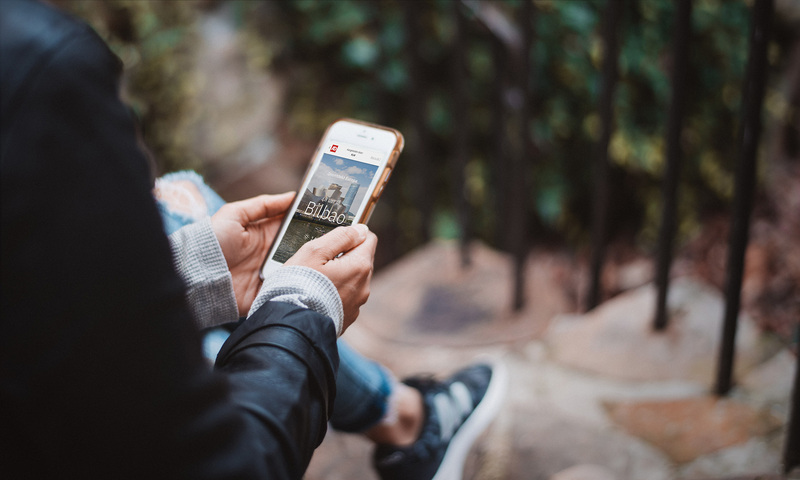 They can now cater to small and medium advertisers with a self-service publishing platform, as well as bigger players with custom-made services. 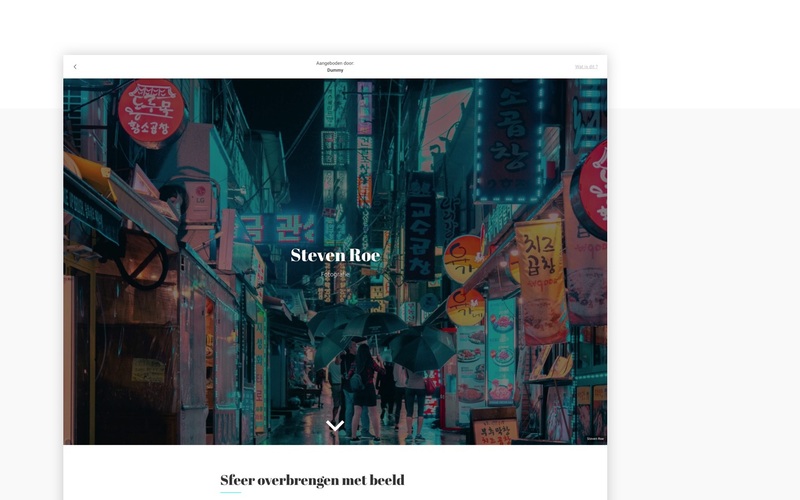 This branded content publishing platform is the first step in our long-term strategy for De Persgroep’s content marketing. It’s going to be implemented by all De Persgroep brands giving their partners new and improved ways to achieve maximum impact with their branded content advertising.